Work together for the day with freelancers, creatives, and other "nomad workers"! Coworking in Prague Jelly! is currently rotating across 5 different coworking spaces in Prague! "Jelly is a casual working event. It's taken place in over a hundred cities where people have come together (in a person's home, a coffee shop, or an office) to work for the day. We provide chairs and sofas, wireless internet, and interesting people to talk to, collaborate with, and bounce ideas off of. You bring a laptop (or whatever you need to get your work done) and a friendly disposition." Learn more about Jelly here. Coworking in Prague Jellies are being organized in cooperation with several coworking spaces around Prague who have decided that we all benefit (our members, independent workers in Prague, and the coworking spaces themselves) if we can work together to promote common goals. 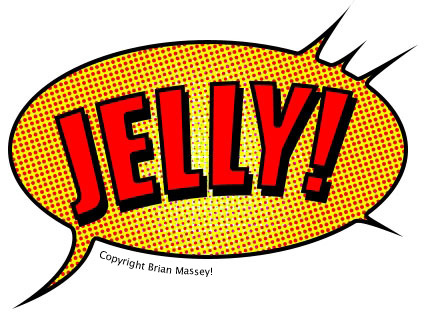 Our Jellies have two main goals: (1) Jelly for Jelly's sake: Jelly is a great way for independent workers to feel more socially connected, to share knowledge, and to work productively with others rather than alone. Jellies support one of the central missions of coworking more generally: they help build community, well-being, and excellence among independent workers. They are directly aligned with the aims of our coworking spaces and have been part of the development of coworking spaces around the world since 2006 when the first Jelly was held in New York City. (2) To help spread the word about coworking and the value it has to offer. Jellies let people who are thinking about joining a coworking space learn about it first. They also give people not interested in joining a coworking space--or without the money for it--the chance to get some of the value of coworking for free.